Chrome Tailgate Handle for 2008-2010 WK Grand Cherokee. Same part as on the Overland model. 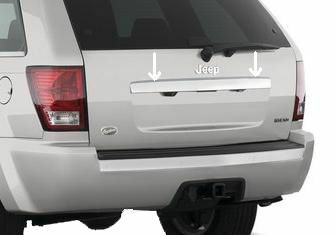 The Tailgate Handle has the cut-out for ParkView Rear Back-up Camera.